Make your documents shimmer & shine, with Toner Adhesive Foil Fusing. 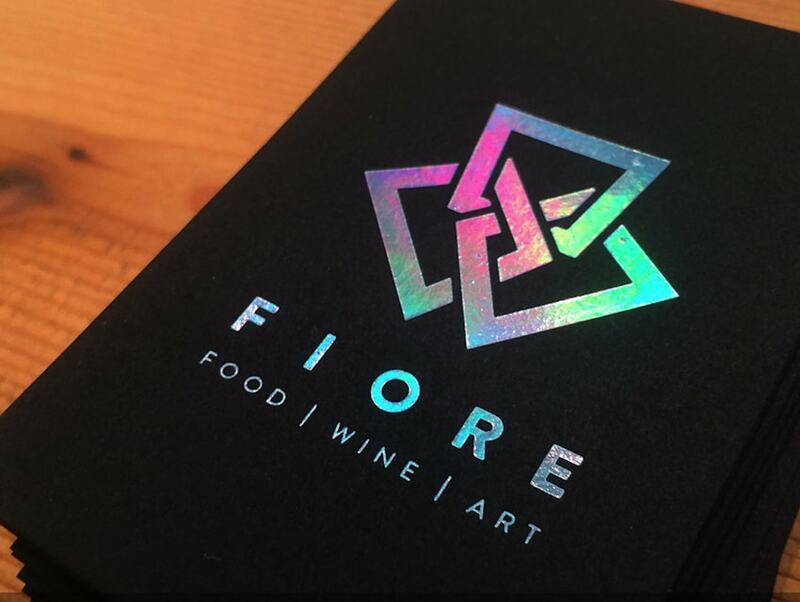 Foil Fusing can help to give your printed pieces an elegant and professional look that isn’t available through standard printing techniques. Easily hot foil business cards, invitations, certificates, awards, and more. With multiple foiling methods, Binding101.com offers a solution for personal and home use, as well as office and high production foiling. Add brilliance to your documents with Toner Adhesion Foil Fusing Rolls. This special toner adhesion foil is available in a wide variety of colors & designs. The adhesive on the foil only sticks to the dry toner used in most black and white copiers and laser printers. There are 2 ways to apply the foil. First, with a foil fusing machine that uses rolls of foil and applies them with a heated roller similar to the way a laminator applies laminating film. However, the foil only sticks to where there is dry toner. Second, you can apply foil many of our pouch laminators by cutting the foil out to the size you want to apply foil on your paper sheet, placing the foil over the desired location, inserting the paper and foil into a carrier and the running it through the pouch laminator. Applying foil in this manner adds brilliant metallic color foil to black and white toner copied or printed documents. The foiling application is very popular for wedding or other invitations, award certificates, creating borders for craft projects, adding pizzazz to business cards or letter head, and anything else which would benefit from bright metallic color. ① Turn on your laminator and let it warm up to the appropriate temperature. The temperature for foil fusing will need to be quite high, usually between 250°F-300°F. ② While your laminator is warming up to the appropriate temperature, you will need to prepare your document for foiling. Print your document using a copier or laser printer that uses dry toner; wax-based toner will not work. ③ Cut a piece of foil off the roll in an appropriate size to cover the desired printed area to which you would like to add foil. Place the piece of foil over the printed area and carefully put the item into a Laminating Pouch Carrier. If the foil moves at this point the foiling process will not be successful so you will need to be careful. ④ Now that your laminator is warmed up to the correct temperature you will want to take your pouch carrier, with the document and foil in it, and feed it through the laminator. The heat from the pouch laminator will cause the foil to bond to the toner on your sheet and the foil will be transferred. ⑤ Once the document comes out of the other side of your laminator, you will need to remove the excess foil and allow the document to completely cool. Keep in mind that foiling using a pouch lamintor will work better with some paper stocks than others. Additionally, the speed and temperature of your laminator will make a difference in the adhesion. Before foiling your finished documents, be sure and test sample documents at different speeds and temperatures to find the ideal combination.